Tackles Skin Blemishes And Wrinkles In One Go. 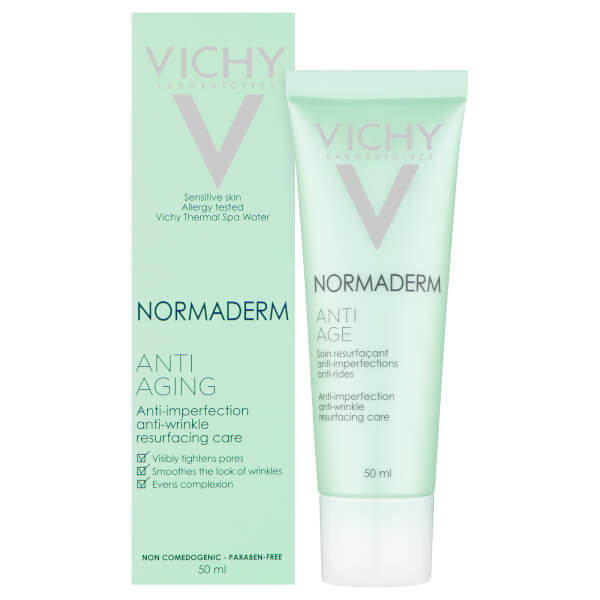 For the first time, Vichy combines ingredients such as glycolic and lipo-hydroxy acids (LHA) with Vitamin C. The product helps target both belmishes (irregular texture, enlarged pores, dull complexion) as well as wrinkles. This innovative skin care product also hydrates skin for up to 24 hours (Instrumental test). The appearance of wrinkles and blemishess are reduced. 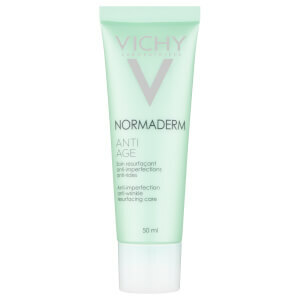 Apply the cream every day, morning and/or evening, to clean, dry skin, avoiding the eye contour. * LHA (Lipo-hydroxy acid) works as an exfoliate the skin to unclog pores. 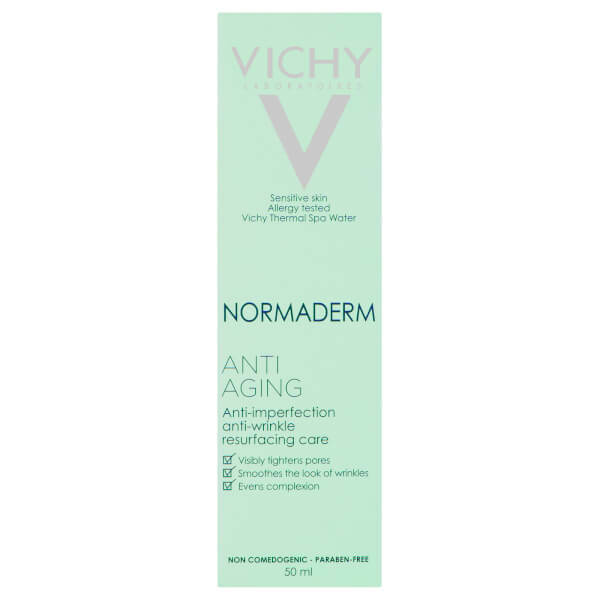 * promoting cell renewal and Glycolic Acid penetrates the skin to promote cell renewal. * Vitamin C is clinically proven to boost the production of collagen and elastin fibers and proliferation of fibroblasts. Aqua, Alcohol Denat., Glycerin, Dimethicone, Pentaerythrityl Tetraethylhexanoate, PEG-20 Stearate, Cetyl Alcohol, Nylon-12, Paraffin, Silica, Kaolin, CI 19140, CI 42090, Glyceryl Stearate, Zinc Gluconat E, Glcolic Acid, Triethanolamine, Dimethiconol, Tocopheryl Acetate, Ammonium Polyacryldimethyltauramide, Chlorphenesin, Ascorbyl Glucoside, Capryloyl Salicylic Acid, Tetrasodium Edta, Butylene Glycol, Acrylates/C10-30 Alkyl Acrylate Crosspolymer, Parfum.